I have to admit that I haven’t spent time reading a non-academic book for such a long time. A whole year full of academic works and activities made me lose that reading habit I used to have. So I’m forever grateful for this summer with much more free time to do something else, something for fun, like reading a self-help book. 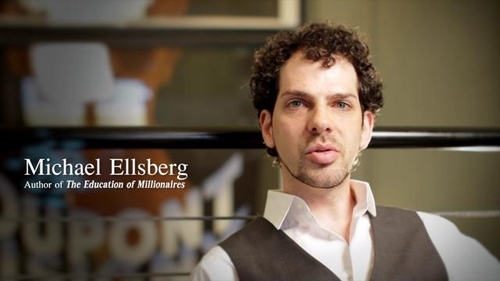 And I encounter this one by Michael Ellsberg, “The Education of Millionaires”, that I found very inspiring – that I actually want to write blog posts about it. The book basically outlines 7 skills you won’t learn in college that will make you succeed in the real life. For this book, the author interviewed millionaires and billionaires who do not have college degrees (including Matt Mullenweg, Pink Floyd’s David Gilmour, Sean Parker, and Marc Ecko). The book really makes me rethink about my current education and what I need to learn to be able to achieve professional success. “The situation is an interview between 25-year-old Bryan Franklin, a college dropout of USC, and a 37-year-old MBA graduate from Harvard for a job posted on Craiglist with a wage of $10/hour. However, notice this, Bryan is the interviewer and the other man is the interviewee. In a tough market, you’d rather be Bryan than the Harvard MBA In other words, you want to optimize your chances in life of being the one posting job ads during a recession instead of the one begging for the job. The main question stays still: Why was Bryan the one hiring that day, despite having no college credential, and why was the man with the Harvard MBA the one seeking the job? Well here is why: Bryan had by that time spent a decade of his life in passionate pursuit of learning things that would make him successful – sales, marketing, leadership, management, finance, and accounting – within the context of owning real-world businesses, with his own money at stake. In other words, Bryan had focused his self-education outside of class on what some researchers call “practical intelligence” – how to get things done effectively in the real world, a.k.a. street smarts. The other man, the Harvard MBA, had presumably studied the same material about marketing, sales, management, leadership, accounting, and finance. But he did so primarily in an abstract, theoretical way. To get through such hallowed education grounds, the focus of his education was probably on academic intelligence – how to do well on tests – not on get-it-done-now-real-world practical intelligence. Both men were highly educated, but one man’s education consisted primarily of theory, which is the stuff most readily on tap in colleges and universities. The other man’s education (and it was self-education, not obtained in a formal classroom) consisted primarily of practice. One man’s education was bureaucratic, formal, and by the books; the other man’s education was gained on the front lines, often on the brink of personal disaster. One man was educated in the most prestigious institution in the land, the other in the school of hard business knocks. One man had focused on book smarts, the other on street smarts. Which kind of smarts do you think wins in an economic downturn? Which wins when the economy picks up again? Sir Ken Robinson says “Schools Kill Creativity”. Why? According to Ellsberg, it’s because the whole purpose of public education throughout the world is to produce university professors. 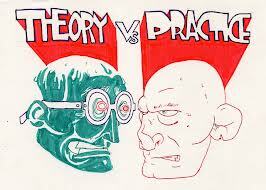 Training to become a college professor and academic scholar is fine for those who truly wish to do so. But if you’ve already gone through college, you are now the product of a system and cultural norm which holds that, in order to prepare for success in life, you must spend 16 years of your life training toward an ideal of academic perfection. I am studying in a really good college in the most developed nation in the world. Furthermore, it belongs to the liberal arts system, which trains its students for a comprehensive development. Hopefully I will get good grades and graduate with a B.A. degree. Is it enough for me to acquire the practical intelligence essential for professional success? Check out my upcoming posts on those practical success skills that the book mentions. How about you? What is your opinion on practical knowledge and academic knowledge? Feel free to comment below! Ellsberg, Michael. The Education of Millionaires: Everything You Won’t Learn in College About How to Be Successful. New York: Portfolio, 2012. Print. Is your ultimate concern pursuing money and fame under the shadow of a materialist? Thank you a great book!!! I haven’t known this book before. Learning for grades is now followed by a lot of students because we still have the thought “high grade and high position” . I think balance is the best choice- study hard and work hard. Sometimes because of bad grade, you lose chances like scholarship.